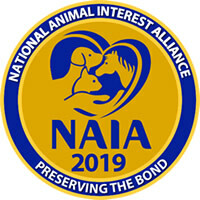 Join the ranks of NAIA's respected members/contributors, including kennel clubs and other animal professionals, pet owners, advocates, and breed enthusiasts. Your vital contribution helps us continue to provide a balanced, fact-based perspective within the animal welfare debate. You may wish to consider a tribute or memorial gift to honor an individual or beloved animal, or a monthly contribution to sustain our work yearlong. Gifts of all sizes truly are appreciated. Thank you for supporting our efforts to preserve the health and welfare of breeds, strengthen the human-animal bond, and safeguard the rights of responsible animal owners and animal professionals. Use the donation form & include a check payable to NAIA or credit/debit card information. This gift is made anonymously. Please do not include me in donor listings. Please send a letter notifying the honoree/family. As a special thank you, we'll send you a gold and blue NAIA lapel pin to wear proudly. Celebrate your birthday this year by celebrating a cause that matters to you. Donate your birthday to NAIA! Make the check payable to: "National Animal Interest Alliance"
If you have a Facebook account, you know how popular it is to send birthday wishes. 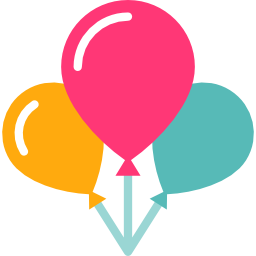 Take a minute to pledge your birthday now, and you'll get a reminder a few weeks before your big day to launch your fundraiser. Invite your friends and family to participate. Simply follow these easy steps from your Facebook Home page. NAIA was started nearly three decades ago by individuals who care about the welfare of animals and the rights of responsible animal owners. Today, our work is more important than ever. Please, join our efforts by pledging your birthday.